Instead of lugging the big camera with me on our trip to Kenya and Uganda, I relied on my very compact Samsung Galaxy S4 and Walmart Family Mobile's 4G LTE unlimited talk, text, and data/web to keep our family and friends updated. Now I'm putting those wonderful mobile memories together to create a mini photo book using Instagram pictures. I really love how great the camera is on my phone. My photos turned out beautiful and I didn't miss the DSLR at all. Using the shots I uploaded to Instagram, I created mini photo books for our memento box and to give as gifts. Specifically for my mom who's not on Instagram or any other social media. Also, it'll be fun to look through them with Violet when she's older and reminisce about her childhood escapades. We're planning more adventures so I'll be making books all summer long. Next up will be Violet's pre-K graduation book. There's also father's day (perfect gift idea), my birthday, more traveling and good times as we enjoy summertime. 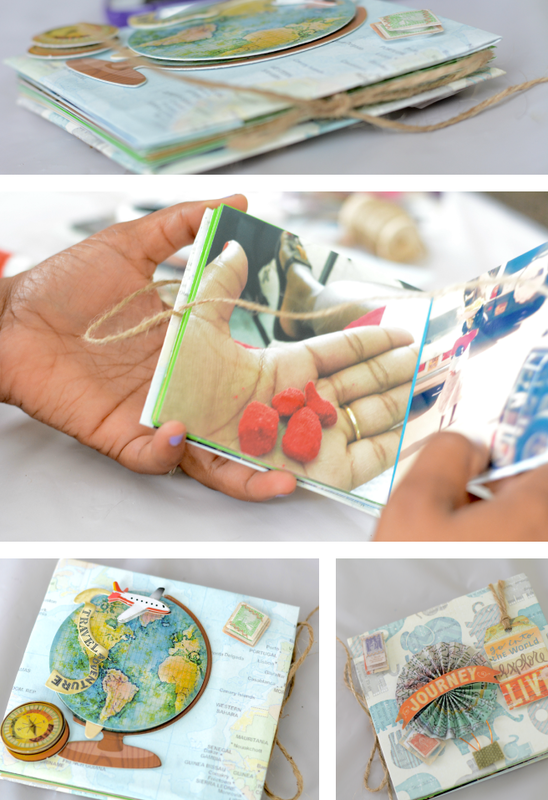 Being able to create these mini photo books is another example of how awesome the Walmart Family Mobile's service is. The Samsung Galaxy S4 has many tools to help me take the best quality pictures and WFM makes it a breeze to print my Instagram photos. It's just another one of the great perks of this plan. Not to mention the low cost. Only $29.88 per month including talk, text and data/web! *With the unlimited WFM data and the Walmart app, I sent my Instagram photos directly to Walmart for printing. I also purchased crafting supplies at Walmart too. 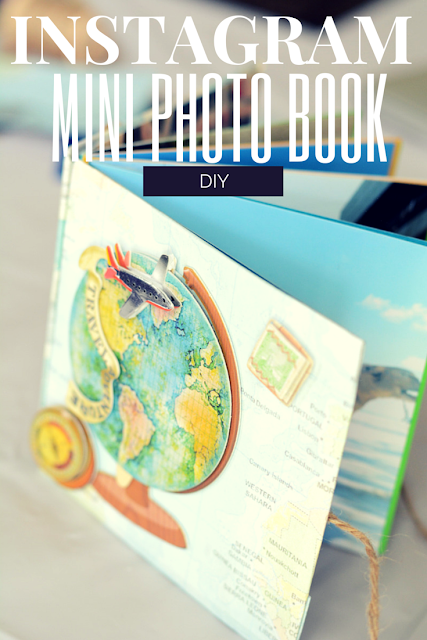 Fold each sheet of cardstock paper in half and glue them together to make the book. Glue photos onto each page but leave the very first page and very last page blank. Run the twine around the book directly in the middle. Leave the tail ends long enough to tie a bow. Cover the chip boards with scrapbook paper and tape in place. Glue the covers to the front and back of the book. Add a piece of tape for extra security. Attach the stickers and tie the bow. Done! 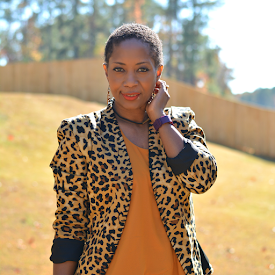 I have shared with you how I capture special memories with my family using Walmart Family Mobile! 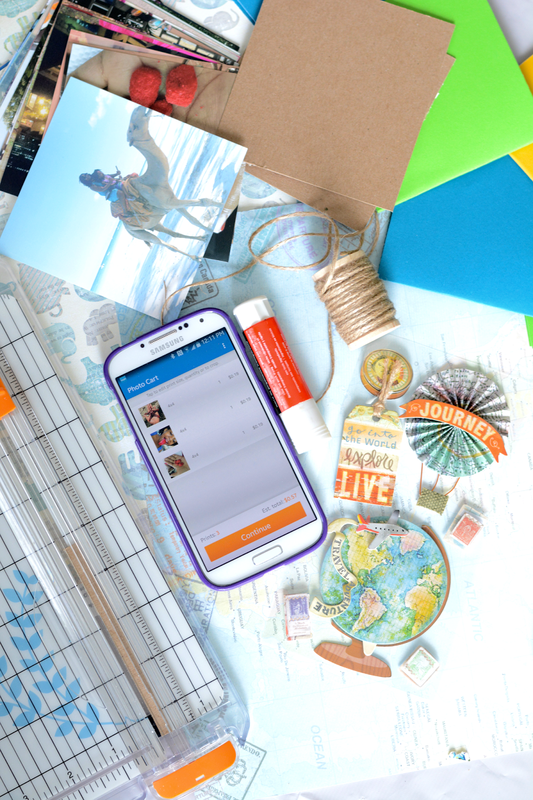 How will you capture those memories with your family this summer? Leave a comment and let me know!